The following timeline was compiled by dedicated members of Indian Point Safe Energy Coalition from sources including the New York City Safe Energy Campaign and LoHud.com Further documentation is forthcoming. Watch this space! “Indian Point is located on the eastern bank of the Hudson River in Buchanan NY, south of Peekskill, NY and approximately 35 miles north of Midtown Manhattan. Indian Point has three pressurized water reactor units. Indian Point 1 had a capacity of 275 MW. The reactor went online in September 1962 and was permanently shut down in October 1974 due to inadequate emergency cooling that did not meet regulatory standards. Indian Point 3 LLC and has a capacity of 1041 MW. IP3 went online on August 30, 1976 and its license expired on December 12, 2015. It continues to operate while the NRC Nuclear Safety Licensing Board (NSLB) considers contentions filed by New York State and environmental organizations. February 16, 2018 – One of Indian Point’s two nuclear reactors automatically shut down early Friday when a generator failed, prompting an inquiry by the Nuclear Regulatory Commission. This is the second time in four months that Indian Point’s Unit 3 shut down after an issue with a generator on the non-nuclear side of the pressurized water reactor. March 28, 2017 – The Atomic Safety and Licensing Board panel of the Nuclear Regulatory Commission handling the Indian Point nuclear power plant license renewal hearing has dismissed the three remaining contentions and terminated its proceeding. March 13, 2017 – Unit 3 shut down for refueling and maintenance, including inspecting baffle bolts, of which many were found to be damaged in Unit 2. January 9, 2017 – Entergy, Riverkeeper and the State of New York signed an agreement that Entergy would drop its effort to relicense and Riverkeeper and the State of New York would drop actions pending against Entergy. It was an historic victory for the people of New York. Indian Point is currently making a profit and consequently is not entitled to receive Tier 3 subsidies. November 2016 – The New York Court of Appeals, the highest court in the state, ruled on Monday that the NYDOS has the right to review Indian Point’s Coastal Zone Management application. July 6, 2016 – Indian Point’s Unit 2 automatically shut down while technicians were testing the nuclear reactor’s electrical systems that are designed to shut down the reactor. July 2016 – NRC ASLB gives the parties opposed to the relicesing of Indian Point until March 2017 to respond to whatever Entergy finds in its analysis of problems with bolts in the reactor. May 2016 – NRC commissioners told the NRC staff to re-evaluate aspects of a severe accident mitigation analysis as part of Entergy’s application to renew the licenses for Indian Point. March 30, 2016 – Hundreds of “faulty” and “missing” bolts were discovered during a planned outage at Indian Point Unit 2 and kept the reactor shut down for several additional weeks. More than 2,000 bolts on the face of a removable insert liner were inspected and “revealed issues” with about 11% (220). The issues found included “missing bolts” and “other degradation requiring replacement of the bolts,” Entergy said. February 2016 – Entergy reports tritium leak at the plant. January 2016 – Entergy asks U.S. federal district court to reject the NYDOS’ objection to the plant’s Coastal Zone Management Act certification. Dec. 14, 2015 – Unit 3 reactor was automatically shut down at about 7 p.m. Monday. The company says the disturbance on the nonnuclear side of the plant is related to a high-voltage transmission line. December 12, 2015 – end of license for Unit 3; second of the facility’s two 40-year licenses. N.R.C. Allows the Unit to continue operating (as is Unit 2) without a license while the renewal process continues. About noon of that day, at a rally to alert the public, the Indian Point 11 are arrested as they stretched Caution tape across the facility’s entrance. December 5, 2015 – Unit 3 was manually shut down at about 5:20 p.m., after about 10 control rods “dropped” into the reactor core. The company said magnets holding control rods failed when power was lost, allowing the rods to sink into the reactor vessel, as designed, which shut down the nuclear reaction. Control rods are a feature of nuclear reactors that allow the nuclear reaction to be adjusted or shut down. Coincidentally, N.R.C. Chairperson Stephen Burns was visiting the facility; the agency reported that the power loss was caused by a short-circuit in a roof fan. December 2015 – New York Governor Andrew Cuomo directed state energy regulators to develop a process to prevent the premature retirement of Upstate nuclear power plants. At the same time however, he opposed the continued operation of Indian Point because he does not believe the area around the plant, located about 40 miles north of New York City, can be safely evacuated if there is a problem. November 2015 – NYDOS objects to federal Coastal Zone Management Act certification for Indian Point. The objection, unless overturned by a court or the U.S. Secretary of Commerce, would prohibit the NRC from renewing the plant’s operating licenses. November 2015 – New York State asks NRC to deny Entergy’s application to relicense the two reactors at Indian Point. November 2015 – Entergy says it will shut the FitzPatrick reactor in Upstate New York by early 2017 due primarily to weak power market conditions brought about by low natural gas prices from shale formations. Unlike his opposition to the continued operation of Indian Point, Cuomo opposed the planned shutdown of FitzPatrick. October 2015 – Entergy said it would shut the Pilgrim reactor in Massachusetts by June 2019 due primarily to similar weak market conditions harming FitzPatrick. September 15, 2015 – Unit 3 was shut down for a planned maintenance outage to replace the reactor-vessel O-rings, which had been leaking for weeks. After maintenance, Unit 3 was critical on September 25 and the reactor was returned to full power on September 26. July 8, 2015 – Unit 3 was manually tripped from full power because of a feed-water transient (control-room operators observed fluctuating water levels inside a steam generator). Operators say that one of the unit’s condensation pumps, which feed water to the system’s steam generators, malfunctioned. This was the third time in three weeks that the nuclear reactor was taken offline. Unit 3 was restarted on July 9, operating on reduced power while repairs were made to secondary components. The reactor was returned to full power on July 11. June 15, 2015 – Unit 3 tripped from full power because of a switchyard disturbance (EN 51156). Unit 3 went critical on June 16 and the reactor was returned to full power later that day. May 8-9, 2015 – On May 8 Unit 3 had an unplanned hot shutdown due to a steam leak. Then, on May 9 at about 5:50 p.m., the 31 main transformer exploded. After the initial blaze was doused, heat reignited the fire at 6:37 p.m., and the Verplanck fire engines entered the Protected Area at Entergy’s request. A request was made for the Montrose Fire Department’s tower ladder truck, which arrived shortly thereafter. The fire brigade fought the fire with foam and delcared it extinguished at 8:05 p.m., but during this event 20,000 gallons of oily fluid leaked into the Hudson River. If the reactor hadn’t been already shut down, the transformer fire could have been even more dangerous. Unit 3 went critical on May 25 and returned to full power on May 26. April 7, 2015 – Unit 3 was taken off line to repair a steam leak on a feed-water instrument line. Restarted on April 8 after the leak was repaired and returned to full power the same day. March 1, 2015 – Unit 3 was shut down for a planned refueling and maintenance outage (3R18), after which it was critical on March 24 and returned to power operation on March 25. Unit 3 ended the inspection period at 92% power and achieved full power on April 1. January 8, 2015 – Unit 3 operators commenced a shut-down in accordance with Technical Specification (TS) 3.5.4, due to both refueling water-storage tank (RWST) level alarms being inoperable. Unit 3 reached 45% power when one level channel was restored, and the shut-down stopped. Bothe level channels were restored, power increase began, and Unit 3 was returned to 100% power the same day. December 2014 – New York State appeals court finds Indian Point is exempt from review under the New York Coastal Zone Management Program under a grandfathering clause. The decision overturned previous decisions by the state’s Supreme Court, the trial court in New York, and a regulatory decision by the NYDOS. December 2014 – After winning a long relicensing battle with the state of Vermont, Entergy shuts the Vermont Yankee nuclear reactor due mostly to weak market conditions. May 7, 2014 – Unit 3 nuclear power plant was removed from service Thursday morning following discovery of a leak of clean steam from a pipe on the non-nuclear side of the plant overnight. February 24, 2014 – Unit 2 shut down for a planned refueling and maintenance outage (2R21), after which it was started on March 18 and returned to power operation on March 19. Full power was achieved on March 23 and the reactor remained at full power for the remainder of the inspection period. January 6, 2014 – Unit 3 tripped because of a faulty feed-water valve controller that resulted in low steam generator level. After repairs, the reactor was restarted on January 8. 2014 – Entergy says it could take the NRC until 2017 or 2018 to complete the Indian Point relicensing process. Some analysts have suggested Entergy could strike a deal with New York that would allow the reactors to obtain the 20-year license renewal but shut sometime before the licenses expire to overcome NYDEC concerns about fish kills. That would be similar to Exelon Corp’s deal with New Jersey on the Oyster Creek nuclear reactor. 2013 – Entergy wins on eight of nine contentions against the relicensing before NRC’s Atomic Safety Licensing Board (ASLB). The losing contention concerns transformers, which Entergy said it would fix. The ASLB, which allowed other contentions since 2012, had at least six other contentions to hear before providing a recommendation on whether to approve Entergy’s relicensing application to the NRC commission. September 28, 2013 – end of license for Unit 2, which becomes the only nuclear facility in the country to operate without a license. #RunForYourLife attempted to bring public attention to this situation. 2013-14 – NYDEC proposes Entergy shut Indian Point reactors for an average of 42 days during summer instead of installing cooling towers to protect fish to qualify for the State Pollutant Discharge Elimination System and Water Quality Certificate, which the plant needs to continue operating. 2012 – NRC ASLB holds hearings on 10 contentions from environmental groups and New York State opposed to the relicensing. With so many contentions, the NRC cannot say when the Commission will make a final decision on relicensing. October 29, 2012 – Unit 3 tripped following indication of the presence of faults on 2 of 3 345 kV output feeders, later determined to be damage to the ConEd distribution system as a result of Superstorm Sandy (residents had been calling Entergy to request a planned shutdown to avoid just this occurrence, given the extensive blackouts and road closures). Following ConEd repairs, returned to full power on November 2. July 29, 2012 – Unit 3 was shut down to allow planned repairs to a main feed-water system valve. Restarted and placed on line on August 1 and returned to full power on August 2, remaining at full power for the rest of the inspection period. July 3, 2012 – Unit 2 was manually tripped as a result of a secondary transient, itself caused by an instrument air piping failure. Restarted and place on line on July 4, with power raised to 80% on July 5. Power was reduced to approximately 25% on July 7 to repair a faulty main feed-water system valve actuator. 15 Unit 2 was returned to full power on July 9, remaining at full power for the rest of the inspection period. June 6, 2012 – Unit 2 tripped from 100% power because of a turbine trip that resulted from a main generator exciter problem. Following repairs, returned to full power on June 8. April 11, 2012 – Unit 2 completed a reactor shut-down to reënergize the UAT that was taken off line in March 2012 as a result of combustible gassing issues. Restarted on April 11 and returned to full power on April 12. Before and through April 4, 2012 – With Unit 2 at or near 5% power, reactor was shut down to hot standby conditions (Mode 3) to repair a main generator exciter system. On April 1, following repairs, operators synchronized the generator to the grid, completing the planned refueling outage. On April 7, with the unit at 90% power, operators reduced power to approximately 51% to repair speed oscillators on the 22 main boiler feed pump. Following repairs, Unit 2 achieved full power on April 8. March 5, 2012 – Unit 3 entered a planned refueling and maintenance outage (2R20). Start-up commenced on March 30 (see next item). March 3, 2012 – Unit 3 commenced down power for a planned refueling and maintenance outage (3R17), shutting down on March 4. After refueling and maintenance, start-up began on March 30, and Unit 3 was at 35% power at the end of the inspection period. February 29, 2012 – Unit 3 operators reduced power to approximately 1% ot facilitate isolation of the unit auxiliary transformer (UAT) after discovery of increased combustible gas concentrations. Returned to full power on March 2. February 13, 2012 – Unit 2 was manually tripped and stabilized as a result of a secondary plant transient. Restarted on February 15 and returned to full power on January 16, remaining at full power for the rest of the inspection period. January 10, 2012 – Unit 3 entered an unplanned maintenance outage to repair the 21 RCP seal. Returned to full power on January 19. 2011 – Andrew Cuomo becomes governor of New York. He opposes the continued operation of Indian Point. August 19, 2011 – Unit 3 experienced a loss of normal off-site power (138 kV feeder 95331) during severe weather, resulting in the loss of 3 circulating water pumps and subsequent degraded main condenser vacuum conditions. This required a load reduction to approximately 74% power. After recovery of affected reactor systems and equipment, returned to full power on August 20. May 21, 2011 – Unit 2 entered a maintenance outage to replace the 22 main transformer bushings. Returned to full power on May 26. March 8, 2011 – A planned shut-down was started, culminating in Unit 3 being taken off-line to begin refueling outage No. 16 (3R16). Remained off-line for the remainder of the inspection period. 2010 – NYDEC denies Indian Point Water Quality Certificate because it believes the plant violates the federal Clean Water Act and wants Entergy to install a closed loop cooling system like cooling towers. Entergy has argued before an administrative law judge and others at the NYDEC that cooling towers would cost up to $2 billion and could not be built before 2029. Instead, Entergy wants to install a $200 to $250 million Wedgewire screen system that would protect more fish because it could be installed in about three years. November 7, 2010 – Unit 2 automatically tripped as a result of a fault on the 21 main transformer “B” phase bushing that resulted in an alert emergency declaration. The transformer explosion and fire released thousands of gallons of PCBs (oily liquid used as electrical insulation in high voltage applications) into the environment. The explosion was ultimately traced to old defective bushings. PCB contamination in the Hudson having been being cleaned up for years, Indian Point’s unauthorized release of PCBs was a set back to restoring the health of the Hudson River, and resulted in a fine of $1.2 million. Returned to full power on November 25, having been shut down for 17 days. September 9, 2010 – Unit 3 manually tripped after a service water leak was observed inside the main generator exciter cabinet. Returned to full power on September 17. September 3, 2010 – Unit 2 automatically tripped during a planned shutdown as a result of high water level in the 23 steam generator. Remained shut for planned maintenance outage to repair the 21 reactor coolant pump (RCP) motor. Returned to full power on September 15. February 22, 2010 – Unit 3 underwent a controlled shut-down to Mode 4 after a service water leak was identified. A temporary repair of degraded piping was performed. Returned to full power on September 28. January 11, 2010 – Unit 2 tripped as a result of a failure in the main generator exciter cabinet. Returned to full power on January 14. Refueling outage begins on March 10, ending March 31. 2009 – Entergy files with NYDEC for a 20-year Water Quality Certificate that is required before the NRC can relicense the reactors. June 2-4, 2007 – Transformer fire (which caused the plant’s 4th unplanned shutdown in less than a year) at Indian Point Unit 3, “unusual event” declaration, and emergency shutdown. On the Tuesday before, a water pump malfunctioned, causing a hot shutdown. April 30, 2007 – Entergy files with NRC to renew both unit’s 40-year operating licenses for an additional 20 years. April 6, 2007 – Transformer fire at Indian Point Unit 3 caused emergency hot shutdown after an electrical connection exploded on Good Friday. The explosion and fire were ~50 feet from Indian Point Unit 3 Containment Dome. It was the 2nd unplanned hot shutdown in a week. A huge crane lowered a 900,000 pound spare transformer. The same month emergency sirens failed again to perform as required by law. December 1, 2005 – Entergy reports to the NRC that an initial sample from a new monitoring well five feet from the wall of the IP2 Spent Fuel Pool shows tritium levels in the groundwater at thirty times the EPA limit, the highest level of tritium contamination yet discovered. In addition, the NRC announces that preliminary tests of tritiated water found in the IP1 Pool Collection System contain too much tritium to be from the IP1 Pool, suggesting that tritium-laced water is being collected in the IP1 Drain from another, unknown source. The NRC still does not know where the leak is coming from, how long it has been leaking, or the extent of groundwater contamination under the plant. November 26, 2005 – The tritium leak at IP2 remains unsolved, nearly three months after its discovery. Entergy’s use of underwater cameras and divers to visually inspect and test for leaks at three locations on the steel liner’s surface yield no results. Entergy must now employ different cameras to inspect the liner near the bottom of the pool, where the radiation is too high for a human diver to enter. November 16, 2005 – The NRC holds a public meeting with Entergy to discuss the company’s plan for replacing the emergency siren system at Indian Point. Entergy announces their commitment to completely replacing the system by January 2007 with new sirens that will have backup battery power. However, statements by DHS officials regarding a lengthy approval process for the sirens put the time schedule in doubt. In addition, NRC official Erik Leeds argued that the Energy Policy Act of 2005 required that the NRC enforce the order within 18 months, not that backup power be installed within 18 months. October 28, 2005 – NRC Region 1 Director Sam Collins formally requests permission from the agency’s Executive Director of Operations to increase oversight at Indian Point on two matters, the tritium leak and the continued problems with the emergency sirens. Permission is granted three days later. October 18, 2005 – A test of the Indian Point sirens failed again today. Ten of 15 sirens in Orange County and another four of the 156 total sirens within the 10-mile evacuation zone failed to sound during the routine test. October 18, 2005 – The NRC and Entergy confirm that the radioactive leak discovered in August is greater than initially believed. The radioactive isotope, tritium, has been discovered in five sampling wells around Indian Point 2, while the leak at the spent fuel pool has increased to about two liters per day. Exposure to tritium increases the risk of developing cancer. The company plans to test more wells, inspect the liner of the leaking fuel pool, and install additional monitoring wells. October 7, 2005 – The NRC updates its Special Inspection Charter for the IP2 Tritium Leak to include a review of Entergy’s efforts to control the ongoing leak from the IP1 Spent Fuel Pool. October 5, 2005 – Entergy notifies the NRC that a sample from a monitoring well located in the IP2 transformer yard shows tritium contamination that is ten times the EPA drinking water limit for the radionuclide, and is consistent with tritiated water from a spent fuel pool. The NRC broadens its special inspection to include this new information. The NRC also states in its report that the monitoring well had not been checked since its installation in 2000, following the transfer of IP’s ownership from ConEd to Entergy. October 2-9, 2005 – Indian Point 3 is completely shut down following the control rod malfunction. The electrical switch the NRC believes caused the problem is replaced. Despite the loss of 1,000 MW to the NY power grid, there are no disruptions or significant price increases during the week that IP3 is inoperative. September 29, 2005 – A control rod malfunction at IP3 forces the reactor to cut power by 35% immediately and notify the NRC. The control rods are designed to operate in unison, dropping into the reactor core to slow the fission process if a problem arises. In this case, a single rod dropped into the core without warning. September 20, 2005 – NRC and Entergy notify the public that radioactive water is leaking from IP2’s spent fuel pool. The leak was discovered by contractors excavating earth from the base of the pool in preparation for the installation of a new crane, for use in transferring spent fuel from the pool to dry cask storage. NRC assures the public there is no “immediate risk to public health or the environment.” NRC later admits that Entergy first discovered the leak twenty days earlier, but did not believe it was serious enough to warrant public notification. NRC orders a special inspection to determine the source of the leak. September 12-15, 2005 – Department of Homeland Security conducts a review of security and emergency planning at Indian Point, as part of the federal government’s “Comprehensive Assessment” of the vulnerability of the nation’s infrastructure to terrorist attack. A siren test conducted during the review once again fails to activate a significant number of sirens. The review is unrelated to the widespread criticism of FEMA/DHS following Hurricane Katrina. August/September 2005 – The emergency siren system fails to operate properly during testing on several occasions, due to problems with Verizon’s phone lines and software failures that resulted in all of Rockland County ’s sirens failing to sound for nearly an hour. August 1, 2005 – NRC issues a “White Finding” to Entergy for their failed response to a nitrogen gas leak first discovered in April 2005. July 29, 2005 – Entergy Nuclear NE publicly commits to replacing the malfunctioning emergency siren system, following repeated failed tests and power outages earlier in the summer. NY Senator Hillary Clinton’s amendment to the 2005 Energy Bill– which was signed into law by President Bush – mandates that Indian Point’s sirens have reliable backup power. July 2005 – Power to Indian Point’s emergency siren system is knocked out on two different occasions, once for six hours before officials were aware of the problem. June 20, 2005 – Congresswoman Nita Lowey authors The Nuclear Power Licensing Reform Act of 2005. If passed, it would require that the Nuclear Regulatory Commission must apply the same licensing standards to old nuclear power plants as new nuclear power plants, must take into account changes in population around a nuclear power plant, must require adequate emergency evacuation plans for populations within a 50-mile radius of a nuclear power plant, and must take into account threats to the population due to security and safety vulnerabilities at a nuclear power plant. May 18, 2005 – NRC issues a Notice of Violation to Entergy Nuclear, Indian Point 2, following an inspection revealing that Entergy failed to respond adequately to a buildup of nitrogen gas in the safety injection pump system, which controls water flow in the emergency backup cooling system. The buildup of nitrogen gas had continued for 77 days before the NRC notified Entergy of the seriousness of the problem, knocking out one pump completely and damaging two others. April 12, 2005 – The Government Accountability Office issues a scathing report of the Nuclear Regulatory Commission and nuclear power plant owners, including Entergy, for their ineffective oversight, poor inventory management, and lax safety and security management of high-level radioactive spent fuel at the 103 nuclear power plants in the United States . In 2004 Entergy lost high-level radioactive spent fuel rods at its Vermont Yankee nuclear plant. April 6, 2005 – The long awaited study by the National Academy of Sciences on the vulnerability of spent fuel pools at U.S. nuclear power plants is released. The report, released yesterday, confirms what Riverkeeper has maintained since the terrorist attacks of September 11, 2001: the spent fuel pools at nuclear power plants are soft targets, vulnerable to terrorist attack by aircraft or high explosives, and pose a high risk to public health and safety due to the high levels of volatile radionuclides present in the irradiated fuel. Riverkeeper calls on Governor Pataki and Congressional delegates to immediately appoint an independent commission to review Indian Point’s spent fuel pools, their vulnerability to terrorist attack, and possible solutions to minimize the grave risks posed to the public in the event of a terrorist attack at Indian Point. February 14, 2005 – Due to Entergy’s improper handling of radioactive waste, an Indian Point shipment of low-level radioactive waste is discovered leaking upon arrival at the Barnwell Waste Management Facility in Barnwell , South Carolina . According to the NRC at least one worker was exposed to radioactive materials; this is in violation of South Carolina laws regulating the handling of nuclear waste at the Barnwell facility. February 10/11, 2005 – Control rods fail to load properly at Indian Point. February 10, 2005 – Ulster County Board of Legislators overwhelmingly votes in favor of opposing a 20-year license extension on Indian Point. Ulster County becomes fourth county board, and joins an addition 16 municipal boards that have passed a similar resolution opposing the relicensing of Indian Point. February 8, 2005 – Westchester County Executive Andy Spano calls on the NRC to investigate emergency sirens at Indian Point. January 31, 2005 – At a Press Club luncheon NYS Attorney General Eliot Spitzer says he supports the closure of Indian Point, if energy reliability can be assured. January 26, 2005 – Congressional delegates, Eliot Engel (D-NY), Nita Lowey (D-Westchester/Rockland) and Sue Kelly (R-NY) notify the NRC that any failure of emergency sirens at Indian Point is unacceptable. January 24, 2005 – IP guard discovered drunk while acting as a safety supervisor at a firing range where other Entergy security workers were undergoing firearms training on the job at Indian Point. He receives a two week suspension. January, 19 2005 – Westchester County hosts State Emergency Management Office Open House for Indian Point. Potassium Iodide pills are distributed to the public. January 2005 – For the third consecutive year Westchester, Rockland , and Orange County officials refuse to submit their Annual Certification Letters, a checklist for the Indian Point emergency evacuation plans. For the second year in a row Putnam County Executive Robert Bondi submits his county’s paperwork, despite no material changes to the plan since the Witt Report concluded that the plan is gravely flawed and probably cannot be fixed. December 10, 2004 – Emergency sirens fail to rotate properly. December 3, 2004 – Indian Point 2 is shutdown for welding problems. December 2004 – A nuclear watchdog group releases data showing that there is no backup power for sirens, in the event of loss of electricity. Indian Point is one of many U.S nuclear plants without backpower to emergency sirens. November 2004 – Up to 300 Indian Point workers are exposed to asbestos. Charles Pencola, a steam-fitter who has worked at Indian Point for 35 years, said Entergy managers declined to stop work in the area until the problem was properly corrected. October 27, 2004 – The NRC approves a 3.26% increase of electricity generating capacity for Indian Point 2. October 19, 2004 – A labor dispute at Indian Point 2 triggers a sickout by approximately 40 electricians and other craft union workers after several workers were fired for allegedly raising safety concerns. October 1, 2004 – Indian Point security guards ratify a new five-year contract, averting a possible strike. September 24, 2004 – Orange County Board of Legislators Public Safety Committee passes resolution calling on federal authorities to investigate the safety of spent fuel storage at the Indian Point nuclear plant. September 24, 2004 – Indian Point 2 shutdown for valve failure. September 21, 2004 – Congresswoman Sue Kelly (R-Katonah) calls on the NRC to inspect wiring at Indian Point after former worker raised allegations of improper cable separation at Indian Point. September 20, 2004 – Entergy drops its interest in building a small onsite gas plant at Indian Point site. September 6, 2004 – Entergy announces that it will seek a power uprate for Indian Point. The company wants to increase power generation by 90 megawatts. September 15, 2004 – Indian Point 2 shutdown for valve failure. September 3, 2004 – A new patrol boat is approved to be permanently stationed at Indian Point. Oversight of the boat will fall to the authority of the state Division of Military and Naval Affairs, which uses National Guard troops to staff its marine force. September 2, 2004 – Indian Point 2 shutdown for valve failure. September 2, 2004 – Entergy announces plans to cut work force at Indian Point by up to 500 workers. August 9, 2004 – The NRC announces that it will no longer make available to the public the results of physical assessments of nuclear plant security or enforcement actions associated with such evaluations. July 15, 2004 – Over 100 concerned residents attend NRC open house to discuss Entergy’s proposed dry cask storage system. IPSEC and nuclear safety experts argue that large casks containing deadly toxic waste are attractive terrorist targets, particularly since Entergy’s plan is to place them on a concrete pad with no protective structures or barriers. June 23, 2004 – Entergy employee raises concerns that emergency sirens may not operate properly during hot summer days. June 2004 – The 9/11 commission and its witnesses divulge that additional air-based terrorist attacks have already been attempted, that more major attacks are likely in the near future, and that nuclear power plants are top al-Qaeda targets. June 8, 2004 – Biennial emergency evacuation drill for Indian Point conducted. Elected officials and the public are outraged when it is learned that the drill included a “terrorist-type attack” but no radiation was released in the scenario. FEMA and the NRC quickly rubber stamp the test as adequate. June 2, 2004 – Dr. Erik Larsen, medical director of the STAT Flight emergency helicopter operation at the Westchester Medical Center , raises concerns that the facility could “fall apart” with as few as 50 people seeking treatment after an accident at Indian Point. May 2004 – For the first time in US nuclear power history, the NRC ends the public’s right to a hearing on safety issues. May 5, 2004 – Stamford , CT emergency officials request to be on the Emergency Notification list for Indian Point. April 26, 2004 – The Indian Point Safe Energy Coalition calls on the NRC to conduct a realistic drill that includes a terrorist scenario with a fast-breaking release for the emergency plans for the 10-mile Emergency Planning Zone near Indian Point. April 15, 2004 – A hundred concerned residents attend an NRC open meeting to discuss Entergy’s plans to store high-level radioactive waste in above-the-ground casks. March 9, 2004 – Indian Point 2 & 3 receives NRC green rating for safety. As a result, Indian Point will receive less intense oversight from the NRC. March 1, 2004 – William Lemanski – a town councilman of Tuxedo, NY and a retired software manager at Indian Point 2 publicly announces at a town board meeting his concerns regarding improperly sorted electric cables at the Indian Point 2 nuclear power plant. January 18, 2004 – Entergy and Local 1-2 Utility Workers Union of America reach a tentative four-year agreement, averting a strike. December 29, 2003 – Entergy sends a letter to the NRC formally notifying the agency of their intent to store irradiated nuclear fuel in dry casks on the site of the Indian Point nuclear power plant, in an Independent Spent Fuel Storage Installation (ISFSI). Industry whistleblowers and nuclear safety watchdogs have raised concerns about design flaws with the Holtec dry cask model Entergy proposes to use at Indian Point and about Holtec’s inadequate quality assurance program. December 22, 2003 – The Nuclear Regulatory Commission issues a report that examined numerous unplanned outages at Indian Point. The report reveals that during the August 14th blackout key back-up systems were not in operation. The NRC found that Entergy had not corrected a known problem with some of the plant’s back-up diesel generators. As a result the diesel generators, needed to power air-conditioning to cool emergency response equipment, failed during the blackout. November 20, 2003 – 276 rank-and-file workers at the Indian Point 3 unit schedule a strike authorization vote for Dec. 4, Local 1-2 Utility Workers Union of America. Manny Hellen, president of the local, said a strike would occur if a new contract isn’t reached by Jan. 17. October 22, 2003 – An Entergy official admits on NRP-affiliate station WAMC that there is no updated seismic hazard analysis for Indian Point. September 18, 2003 – The NRC initiates a special inspection of Indian Point’s emergency-alert system to examine a discrepancy between Entergy Nuclear and the four emergency planning zone counties over the reliability of 154 sirens. September 16, 2003 – Project on Government Oversight (POGO) releases a letter it sent to the NRC criticizing the agency for making the security tests at Indian Point nuclear plant too easy. The letter based criticism of the “force-on-force” test on information gathered from participants and observers of the test. September 13, 2003 – Nearly 600 electrical workers at Indian Point ask a federal court to block managers from shifting them between the Indian Point 2 & 3. The electrical workers claim that cuts in the work force have led to unsafe working conditions and poses safety issues for the public. Local 1-2 of the Utility Workers Union of America requests a restraining order against Entergy Nuclear Operations, a subdivision of Entergy Nuclear Northeast. September 9, 2003 – NRC conducts a special inspection of IP’s emergency-alert system to examine a discrepancy between Entergy and the 4 EPZ counties over the reliability of 154 sirens. September 8, 2003 – The Union of Concerned Scientists and Riverkeeper formally petition the Nuclear Regulatory Commission (NRC) to order the immediate shutdown of both nuclear power reactors, because the plant’s drainage pits (also known as containment sumps) are “almost certain” to be blocked with debris during an accident. August 14, 2003 – Blackout 2003. The entire region regains power without IP being online for nearly a week. August 12, 2003 – NRC launches investigation into cause of 9 unplanned shutdowns at IP during the past 18 months. The national average is less than one unplanned shutdown per reactor. July 2003 – NRC reports that IP 2 & 3 received 28 whistleblower complaints for 2002, a 22 percent increase. 75% of the complaints primarily involved issues of security. National median was four. July 25, 2003 – FEMA and the NRC overrule the counties’ and state’s determination that the emergency evacuation plans can’t protect the public. County inquiries and Congressional hearings are called in the aftermath. May 1, 2003 – Over 175 first responders state they cannot guarantee safety of residents. April 28-29, 2003 – Mechanical problems cause Reactor 2 to trip due to offsite electrical problems on April 28. On April 29 a fire breaks out in Reactor 3; it took over 45 minutes to bring the fire under control. Both reactors are taken off-line. April 15-22, 2003 – Fire at Indian Point Unit 3 which took 47 minutes to bring under control and caused hot shutdown. The fire started in insulation of 214 ton electric-generating turbine, day after malfunctioning feeder cables at Con Edison substations caused a regional power outage and forced hot shutdown of Indian Point Unit 2. On April 21, the Nuclear Regulatory Commission identified 1,376 outstanding repairs needed, 76 were major. FBI warned nuclear plants “are a vulnerability target which could have uncertain consequences” if attacked and to be on the lookout for anything suspicious. April 9, 2003 – Justice Thomas W. Keegan orders the State Department of Environmental Conservation to issue a draft permit for Indian Point’s cooling system by Nov. 14, in response to a lawsuit brought by Assemblyman Richard Brodsky, Clearwater, Riverkeeper, Pete Seeger, and others. Millions of fish eggs, larvae, and young fish are killed every year by the power plant’s water-intake system. 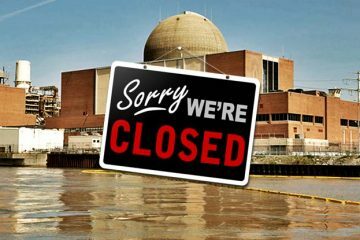 February 28, 2003 – Riverkeeper releases study by Synapse Energy Economics that demonstrates closure of the Indian Point Nuclear Plant would have little or no effect on reliable electric service for New Yorkers. February 21, 2003 – FEMA refuses to certify the emergency evacuation plans, saying it cannot give “reasonable assurance” that they can protect the public. February 4, 2003 – Invoking the principle of home rule, SEMO rejects the federal directive, saying it will not overrule the counties’ decision to refuse to sign their annual certification letters. February 2, 2003 – FEMA tells the state it must ignore the counties’ protest and make its own decision about the emergency evacuation plans. January 14, 2003 – County executives from Westchester, Putnam, Rockland and Orange counties refuse to sign evacuation plan. January 10, 2003 – The Witt Report, an independent study of the evacuation plan commissioned by Governor George Pataki, is made public. Report states evacuation plan can’t protect public. 2003 – New York State Department of Environmental Conservation (NYSDEC) determined Indian Point will have to do more to reduce the impact of the plant’s cooling water intake system on aquatic organisms. Indian Point withdraws up to 2.5 billion gallons of water a day from the Hudson River. The state and environmental groups have said the cooling system kills over a billion fish, fish eggs and larvae each year. Entergy has been seeking the State Pollutant Discharge Elimination System from the NYSDEC ever since. September 11, 2002 – To prevent a hydrogen-gas leak from reaching explosive levels in the air outside the reactor, Indian Point Unit 2 had a hot shutdown. Hydrogen gas is one of the major problems at Fukushima. August 2002 – Governor Pataki hires James Lee Witt Associates to evaluate emergency plans for Indian Point and other state nuclear facilities. June 8, 2002 – Westchester County gives away potassium iodide pills at first of three public distributions. Thousands show up to receive pills. June 5, 2002 – Testimony before the U.S. Senate states that security guards at the nations 104 nuclear power plants are not equally paid, trained or armed. Some earn less than janitors and carry shotguns that would be no defense against terrorists with automatic weapons, say lawmakers and security experts. May 18, 2002 – Christopher Kozlow, Westchester’s deputy commissioner of emergency services, is dismissed after about six months on the job. Kozlow is to claim the county wouldn’t let him change the evacuation plan. September 21, 2001 – NRC admits uncertainty that the nations 103 plants could withstand the same kind of impact that leveled the World Trade Center. September 9, 2001 – Entergy buys Indian Point Unit 2 from Consolidated Edison Inc for $502 million plus about $100 million for the fuel. The purchase includes gas turbines and other assets. November 2000 – Entergy, an energy conglomerate based in New Orleans, buys Indian Point Unit 3 and the James A. FitzPatrick reactors from New York Power Authority (NYPA) for $967 million. The purchase of Indian Point Unit 3 is completed on November 30. Entergy’s Northeast regional headquarters in White Plains announced the plant was worth more than $152 million a year to the local economy. April 2, 2000 – NRC rates Indian Point 2 most trouble-plagued nuclear power plant in the country. February 15, 2000 – First full scale alert declared at Indian Point when Indian Point 2 reactor manually tripped due to indications of steam generator tube rupture in generator number 24. Contaminated steam is released. The NRC later reveals that hundreds of gallons of radioactive water leaked into the Hudson River and the Buchanan water system. 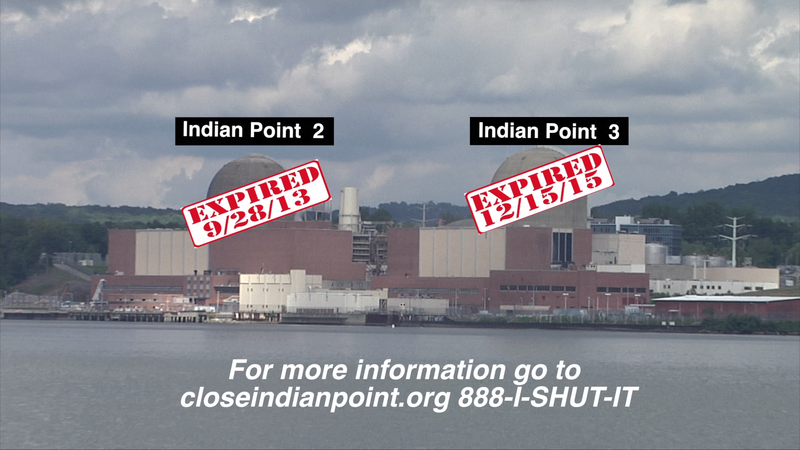 Indian Point 2 is shut down until December 2000. November 19, 1998 – Indian Point 3 shut down in response to unauthorized entry into protected area. August 6-15, 1997 – Indian Point 2 shut down due to defective safety valve settings. August 1997 – Indian Point 3 is cited by the NRC for safety violations. July 19, 1995 – Indian Point 3 restarted after a two-and-a-half year shut down. June 1994 – An underground pipe breaks at Indian Point 3 plant spilling 1,600 gallons of toxic waste into the Hudson. May 1994 – Con Ed says radioactive water has been leaking at the site for four years, with estimates of up to 150 gallons leaking each day. September 14, 1993 – Plant workers accidentally dump 900 gallons of radioactive water into the Hudson. June 22, 1993 – Indian Point 3 is placed on the NRC’s “Watch List” of troubled plants. NRC fines Indian Point 3 $300,000 for 17 safety violations. February 27, 1993 – New York Power Authority shuts Indian Point 3 after a series of violations. 1992 – Indian Point owners file with NYDEC to renew the plant’s State Pollutant Discharge Elimination System permit. December 20, 1984 – A leaking hydrogen-cooled electric generator gas burst into flames forcing emergency hot shut-down of Indian Point Unit 2. The fire took 25 minutes to extinguish. October 17, 1980 – Con Ed discovers over 100,000 gallons of radioactive water spilled in the containment building of Indian Point 2. Neither the NRC, local officials, nor the public is notified of the accident for three days. July 1977 – A transformer explosion at Indian Point triggers a major blackout, causing dozens of people, fearing a major accident, to flee. August 30, 1976 – Unit 3 is commissioned. 1975 – New York Power Authority buys Indian Point 3 for $349 million. October 31, 1974 – Unit 1 shut down indefinitely. October 1974 – Indian Point 1 is ordered shut down, lacking emergency cooling systems. August 1, 1974 – Unit 2 is commissioned. 1974 – Con Edison shuts Unit 1. 1974 – To help Con Edison weather the financial crisis after the 1973 OPEC oil embargo, New York State ordered the state-owned NYPA to buy and complete a couple of power plants Con Edison was building at the time, including Unit 3 at Indian Point. November 1973 – Engineers shut down Indian Point 1 when a 300-degree steam leak buckles the “heat proof” steel liner of the containment vessel. 1969 – Indian Point 3 starts construction; Con Ed starts operation in 1976. 1966 – Indian Point 2 starts construction. September 16, 1962 – Unit 1 begins operation. 1962 – Con Edison gets operating license for the 275-MW Unit 1, a pressurized water reactor. October 1954 – Consolidated Edison buys Indian Point Park and an adjacent tract, totaling 350 acres on the banks of the Hudson River at Indian Point. The plants are sited on the Hudson River, the Ramapo earthquake fault line, and 24 miles from the New York City line. January 5, 1954 – The Buchanan Village Board holds a 10-minute public hearing on rezoning the area known as Indian Point, formerly a popular park with beaches, trails, swimming pools and two piers receiving thousands of people by boat out for a day of fun. The plan is passed without opposition. According to terms of the deal, Con Edison is to pay 70 percent of the Hendrick-Hudson school district’s taxes, install a village-wide sewer system, pave streets and provide mercury streetlights. 1952 – The Atomic Energy Commission brings Con Edison together with other energy companies to develop commercial nuclear power plants. The Commission had already developed a prototype, but it was found to be inefficient.